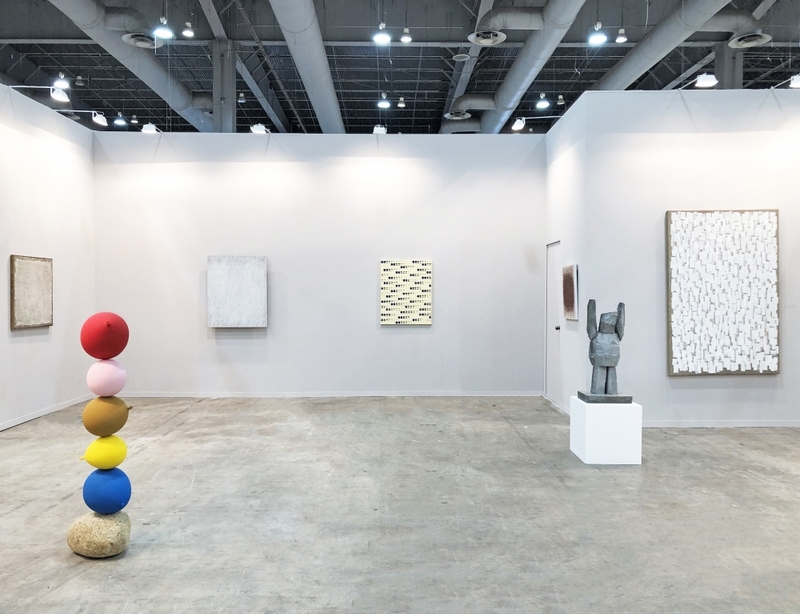 Suki Seokyeong Kang, another Korean artist in Tina Kim Gallery’s booth, has a less angsty, but perhaps more ambiguous take on artist/artisan labor. She has tracked down one of the last craftsmen who make super-specific bamboo mats used in traditional Korean rituals. The process of producing the mats, involving a unique dying and weaving processes, is an almost dead art form. Here, she’s collaborated with a mat maker and framed their products behind intricate metal screens based on Korean musical compositions.